Anyone who has been called into the ministry of the Word of God prays for a godly response in the hearts of the listeners. Certainly this was the desire of the Reformers in Scotland in the sixteenth century. To put away all things that dishonor His name was the prayer of those who entered into the sacred calling. But it didn’t always work out that way in practice. John Knox had returned to Scotland from Geneva Switzerland on May 2, 1559 (See that post on TDPH for a review). 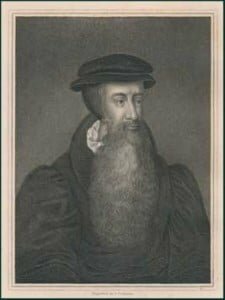 Beginning to preach the Reformed Faith to his fellow Scotsmen, John Knox had preached a thunderous sermon to the citizens of Perth, Scotland. The subject of his sermon exposed the idolatry of the Roman Church which included the worship of images. Queen Mary of Guise, the queen regent, responded by calling forth her army, augmented by French troops in the area, and advanced to the city of Perth, threatening to lay waste the town and the citizens of it. The Protestant Lords of the congregation were able to assembly 25,000 soldiers to protect the Protestants. Obviously, a military showdown was about to take place. The queen regent, Mary, anxious to avoid such a showdown, entered then into an agreement that the town would be left open to the Queen, that none of its inhabitants would be interfered with, that the French troops would not enter the city, and that when the Queen would leave, there would be no garrison of troops left in the town. All of these actions led to that which has been called the Second Covenant, signed and sealed on May 31, 1559. By this, those who signed the covenant resolved 1) to maintain their evangelical confederation; 2) to do all things required by God in the Scriptures; 3) to observe true worship; 4) to preserve the liberty of the Congregation and each member of it. These four points made up this Second Covenant, which was signed in the name of the whole Congregation, with the specific names of the Earls of Argyle and Glencairn, Lord James Stewart, Lord’s Boyd and Ochiltree, and Matthew Campbell. The Second Covenant was immediately put to the test as the Queen Regent, Mary of Guise, turned her back on all of her promises to the Protestants. The battle for the soul of the nation was set to continue in the land. It would be easy to resort to fleshly means to bring about the spiritual kingdom of God in a land. Our spiritual ancestors in Scotland were under a different standard as they sought to put away all things that dishonor His name. That is what this Second Covenant was all about on this day in 1559. Through godly prayer and spiritual works, as our Confessional Fathers put it, we are to destroy the kingdom of Satan, advance the kingdom of grace, and hasten the kingdom of glory. Yet another article by Dr. J. Gresham Machen which, to the best of my knowledge, hasn’t been made widely available on the web. Here Machen remains at the least farsighted and nearly prophetic in his insight. I realize this is a longer post, but it is well worth the time to read. THE present situation in the Presbyterian Church in the U. S. A. is only one phase of a situation that prevails in the Protestant churches throughout the world. Everywhere—in the countries of Europe and in mission lands—Christianity finds itself in a mighty conflict with an alien type of religious belief and life. This alien type of religious belief and life appears in many different forms, and expresses itself in many different ways; but at bottom it is everywhere the same. Disparagement of doctrine, decrying of controversy, sinking of doctrinal differences in a program of peace and work, the craze for organizational unions, the “interpretation” of the Bible and of the great Christian creeds to make them mean almost their exact opposite, the substitution of vague swelling words for a clear-cut proclamation of the Cross of Christ, exaltation of experience” at the expense of God’s written Word—these are everywhere the marks of one great and deadly enemy to the Christian faith. The enemy is made the more dangerous because it is found within, rather than without, the Church. Definite opponents of the Christian religion could have been more easily met; but now as in ancient times Satan has preferred to labor for the most part in the dark. The change has come very quietly and very gradually. There have been few open breaks; there have been comparatively few open denials; good men, in their ignorance, have often become emissaries of unbelief. The Gospel has not been openly contradicted, but it has been quietly pushed aside. It has quietly faded away, as one picture fades away before another on the screen; and another gospel has assumed its place. Many men are quite unconscious of the change; they are made very angry by being told the truth. Others are not so completely blind; they know in their heart of hearts that all is not well. But they will do nothing unpleasant to preserve the purity of the Church; they preach the true Gospel themselves, they say, but let others in the same church preach what they will. God will ultimately honor the truth, they tell us; God will ultimately destroy error; but meanwhile let us above all have peace. Thus is Gamaliel cited as though he were a Christian saint; thus does a worldly urbanity masquerade under the name of love; thus has a polite optimism been substituted for the dread solemnity and exclusiveness of the Gospel of Christ. Upon this policy of palliation and compromise God has placed the signal marks of His disfavor in the modern world. Nowhere has that policy resulted in the advancement of the truth; everywhere it has led to more and more radical departure from the Word of God. Almost all the larger Protestant churches of the world today are dominated by men who are either hostile or indifferent to the great verities of the Faith. We do not mean that the situation is one of unrelieved gloom. Nowhere in the world has God left Himself altogether without a witness. In Germany, in France, in England, in China, and in many other lands there are heroic groups of people who have not bowed the knee to Baal, who have not been afraid to witness for the Lord Jesus Christ In Scotland, the heroic Free Church still raises its voice amid the sad defection of the larger bodies; in the North of Ireland, a courageous group; chiefly composed of laymen, is in revolt against the Modernist tyranny that there prevails. But these heroic efforts of individual men and women, and of smaller bodies, should not cause us to close our eyes to the general state of the Church. It is a fact, whether we like it or not, that the larger and older Protestant bodies have in their corporate capacity for the most part ceased to witness in any clear-cut way to the Gospel of the Lord Jesus Christ. To that assertion one, and perhaps only one, notable exception must be made. In one place only in the modern world have we a large church that is maintaining faithfully the full deposit of faith. The church to which we refer is the great free church of Holland, the “Gereformeerde Kerken.” There at least we have a truly Calvinistic church—a church that is proclaiming the Christian religion, not in some feeble, inconsistent form, but as it is set forth on the basis of Holy Scripture in the Reformed Faith. What is the reason for this resistance of the free church of Holland to the general drift? How has that church succeeded where other churches have failed? The answer is perfectly plain. It is simply that in Holland the issue was clearly faced, and faced in time. In the eighties of the last century, the Calvinists or evangelicals in Holland, under the leadership of a great Christian statesman, Dr. Abraham Kuyper, separated from the state church, and formed a truly Calvinistic church. They had the courage of their convictions; they set up and maintained a true church discipline; they were perfectly ready to do unpleasant things that Christ’s little ones might not be led astray; they demanded that the ministry of the church should proclaim no message save the message for the proclamation of which the church had its being. They maintained a great Christian system of education—Christian schools in grades high and low, and a great Christian university. Thus was established by the help of God a well-rounded ecclesiastical life, an educated ministry, a laity instructed in the Word of God, true worship and true service. Against such a church the forces of modern unbelief have proved to be powerless. The free church of Holland and its daughter, the noble Christian Reformed Church in America, still stand firm in the midst of a hostile world. The example of those churches shows, if indeed it needed to be shown, that modern unbelief is not invincible, but that even in these days a church as well as an individual may be a true witness to the Lord Jesus Christ Only, if it is to do that it must be willing to pay the price. It must be willing to be called intolerant and narrow and unkind; it must be willing to do unpleasant things; it must be willing to practice exclusion for the sake of those for whom Christ died. But do we require modern examples to establish the need of separateness for the Church? Did not our Lord say that salt that has lost its savor is good for nothing but to be cast out and trodden under foot of men; did not Paul say: “But though we, or an angel from heaven, preach any other gospel unto you than that which we have preached unto you, let him be accursed”? Is not the whole of the First Epistle to the Corinthians devoted to a mighty contention of the Apostle against a paganism, both in life and in thought, that was seeking in subtle ways to establish itself in the Church? Really the Word of God here supports the lesson of all Christian history. A church that tolerates within its borders the polite paganism of the world, a church that cries “Peace, peace, when there is no peace,” is a church that is ready to die. Such is the deadly peace that has captured most of the larger Protestant bodies in the world today. Very lamentable is the condition of the Protestant Church. But need that condition be wondered at? Is it due to any weakness in the Gospel itself? Is it not rather the inevitable consequence of one fundamental error—of this disastrous notion that an individual or a church may avoid doing unpleasant things and yet maintain its power, may be at peace with God without being in conflict with the world, may simply drift with the current and still be faithful to the Lord Jesus Christ. A strange error that is, indeed. As a matter of fact, the Gospel now as always runs directly counter to the natural man, and can be maintained only through constant struggle. Let a church relinquish the struggle, let it cease to practice exclusion, let it decry controversy within its borders, let it assume that all is well, and soon the all-engulfing paganism will creep in and take control. Such is the lamentable state of the ecclesiastical world at the present time. In view of this world-wide condition, we need not wonder that America too has drifted away from the Gospel of Christ. We are in little agreement with those who think that in American churches all is essentially well, that Modernism is just a foolish little aberration, and that the heart of the churches may be assumed to be perfectly sound. Those who speak so are really quite blind to that which is going on in the world today; they are living in the situation of fifty or seventy-five years ago, and have not the slightest inkling of the real state of the case. As a matter of fact, in this battle against Modernism in America we are engaging merely in one division of a world-wide conflict; here as elsewhere Christianity is battling against a mighty current of the age. In this American phase of the conflict, the enemy is not yet in such complete ascendancy as in most other countries of the world; but certainly the situation even here is bad enough. Of the larger Protestant bodies very few are resisting with any vigor the general drift; very few are delivering any ringing testimony to the Gospel of Christ Most lamentable of all, perhaps, is the condition of those churches that boast of their freedom from Modernism, and of the absence of controversy within their bounds; for that boast usually means merely that the churches that make it are relinquishing without even a struggle the great heritage of the Christian Faith. A deadly vagueness besets the teaching of such Churches. It is a feeble message which in these days arouses no opposition and causes no controversy; now as always the true Gospel would turn the world upside down. The Presbyterian Church in the U.S.A. The Presbyterian Church in the U. S. A. belongs in a slightly higher category; for the evangelicals in that church, though so far they have been defeated in their contention, have at least had faith enough to contend; and that is some gain. They have at least not treated the witness of the church as though it were an utterly contemptible and valueless thing, but have endeavored—unsuccessfully so far, it is true—to restore it before it is utterly destroyed. Certainly the condition of this church, as of other American churches, is bad enough. The creed of the church remains, indeed, truly Christian; for every candidate for ordination is required to subscribe solemnly to the Westminster Confession of Faith. But this creed subscription is constantly being “interpreted” so loosely as to mean scarcely anything at all. It would be instructive to trace the steps that have brought a church that was formerly so great into its present lamentable condition; but that can only very imperfectly be done. Here as elsewhere the destructive forces have been content to labor for the most part in the dark. Only now and then has some overt act served to reveal the extent to which the undermining of the church had progressed. of 1920. According to that Plan, the constituent churches in the proposed union were, indeed, graciously to be allowed to retain each its own creed; but what was really stamped as essential was contained in a Preamble couched in the vague language so dear to modern naturalism. Evidently something more than Calvinism was here at stake. In the Cumberland union the attack was upon the distinctive features of the Reformed or Calvinistic Faith; but here it was also upon those verities of the Christian religion about which even the Roman Catholic and Greek Catholic Churches agree with us. The Plan of Organic Union was defeated in the presbyteries: but it received an enormous vote; and when one observes that it was presented to the Assembly by Dr. J. Ross Stevenson, the president of the most conservative seminary in the Church, and was advocated by Dr. Charles R. Erdman, another professor in that same conservative institution, one can readily see how very far the doctrinal consciousness of the church had been undermined. In 1923, the General Assembly at Indianapolis, in opposition to the propaganda of Dr. Harry Emerson Fosdick in the First Presbyterian Church of New York—a propaganda that was hostile to the very roots of the Christian religion—issued an evangelical pronouncement to the effect that the Virgin Birth of Christ and four other verities of the Faith were essential doctrines of the Word of God and of our Standards. This evangelical pronouncement contained nothing distinctive of the Reformed Faith, and certainly it did not err on the side of too great detail. It merely enunciated certain great facts and doctrines about which all the great branches of the historic Church are agreed. Yet it was attacked by about one thousand three hundred ministers in the Presbyterian Church in a document commonly called the “Auburn Affirmation,” which declared that acceptance of not one single one of the five points mentioned in the General Assembly’s pronouncement was essential for ordination in the Presbyterian Church. Thus according to the Auburn Affirmation a man may be a Presbyterian minister without believing in the Virgin Birth or in any other one of these great verities of the Faith. In the ensuing ecclesiastical battle between the General Assembly’s pronouncement and the Auburn Affirmation, between the evangelical and the anti-evangelical forces in the Presbyterian Church, the anti-evangelical forces have in the main won the victory. They encountered, indeed, some temporary setbacks in their triumphal march. In 1924, at Grand Rapids, Dr. Clarence E. Macartney, representing the evangelical forces, was elected Moderator of the General Assembly in a close contest with Dr. Charles R. Erdman, who, despite orthodox declarations made by him and for him, had the support of the Modernist-indifferentist party in the Church. But in the following year Dr. Erdman was elected over the candidate of the evangelical party in that year, and the Modernists and indifferentists resumed control. A Commission of Fifteen, appointed by Dr. Erdman in 1925, really gave the Modernists and indifferentists all that they desired—namely, the glossing over of the real conditions and time to tighten their control of the machinery of the church. That control is at present practically complete. Four out of fifteen ministerial members of the Board of Foreign Missions and seven out of sixteen ministerial members of the Board of National Missions are actually signers of the Modernist “Auburn Affirmation,” and those who have taken any clear and effective and prominent stand against what that anti-evangelical document represents are scarcely represented in these boards at all. Typical, too, of the prevailing conditions is the fact that, the “Candidate Secretary” of the Board of Foreign Missions is a signer of the Affirmation. Thus this gentleman whose function is to interview candidates for the mission field, and who has it within his power to encourage them or discourage them in their plans for missionary service, is a signer of a formal document that is derogatory to the very roots of that Gospel for the proclamation of which, at home and abroad, the Presbyterian Church exists. Side by side with this undermining of the doctrinal position of the Church, and with this weakening of its testimony, has gone an attack upon its form of government. In the interests of this latter attack the most effective step, perhaps, was the establishment of the “General Council,” which has proved to be a powerful agency of centralization and a more and more serious menace to our ancient liberties. Year by year the General Council, through the Genera! Assembly, which acts altogether without debate, sends down overtures whose effect is to tighten the control of the central ecclesiastical machine. Some of them, as was the case with the overture of 1928 regarding the Permanent Judicial Commission, have been defeated. The fate of others, as of the amazing Overtures D and F of last year, are at the present time of writing still in doubt. But the menace is ever with us, and of the ancient Presbyterian liberties, if the process goes on unchecked, little will remain. The drift of the Church has been seen not only in the ecclesiastical machinery but also in the educational agencies. One and only one of the theological seminaries, that at Princeton, was until recently engaging in a really vigorous and effective battle against the destructive forces that were so mightily at work. That seminary, indeed, up to the spring of 1929, stood at the very height of its influence; its student body had increased greatly within recent years , and it was honored by all those throughout the world who in the face of the prevailing Modernist tyranny cherished Presbyterian liberty and the glories of the Reformed Faith. Evidently, from the Modernist-indifferentist point of view, such an institution constituted a serious menace, and had to be destroyed. So destroyed it was in 1929, after a three-years’ fight. Princeton Theological Seminary now stands under a board of control that has two Auburn Affirmationists in its membership and is quite out of accord with the doctrinal position that the institution has hitherto maintained. This destruction of the old Princeton was furthered by representatives of the ecclesiastical machinery who were within the councils of the seminary itself. President J. Ross Stevenson and Dr. Charles R. Erdman, the two advocates of the reorganization who were members of the faculty of the seminary, are both of them members of the Board of Foreign Missions, Dr. Erdman being its president. Dr. Robert E. Speer and Dr. John McDowell, the former being a secretary of the Board of Foreign Missions and the latter of the Board of National Missions, took a particularly vigorous part in the reorganization movement; and Dr. George Alexander and Mr. W. P. Stevenson, members of the Board of Foreign Missions, also were concerned in it, the former being a member of the board of directors of the Seminary and the latter a member of the board of trustees. What we have essentially in the change at Princeton is the crushing out of the distinctive features of the seminary by the general administrative machinery of the church. Princeton Seminary has simply been made to conform to the general doctrinal drift. That doctrinal drift is also practically in complete control of the agencies of public discussion. The official organ of the church, The Presbyterian Magazine, is actually under the editorship of a signer of the Modernist “Auburn Affirmation” itself; and of the older inofficial organs not one is supporting a clear-cut evangelicalism. The only one which was formerly doing so, The Presbyterian, has removed its former editor, Dr. S. G. Craig, because of the courageous, though always courteous, way in which he presented the real issue in the Church; and now it is an organ of the conventional “middle-of-the-road” or pacifist kind. From February 1, 1930, up to the appearance of this first issue of Christianity Today the evangelical party was without any real organ of publicity in the Presbyterian Church in the U. S. A. Under these discouraging circumstances, what ought to be done by the sound elements in that church? About the answer to this question there may be differences of opinion in detail; but some things, we think, can hardly be in doubt. There are some things at least which we certainly ought to do. 1.We ought to face the facts. Nothing is more enervating today than a foolish optimism about the state of the church. Let us get rid of this ecclesiastical Couéism which seeks comfort from a parrot-like repetition of the assertion that the church is “essentially sound.” Rather let us spread the real facts unreservedly before God in prayer, and seek our help from Him. 2.We ought to avoid paring down our ecclesiastical program to suit undecided or timorous persons on the outskirts of our camp. Nothing” has been more effective in preventing any brave or generous action on the part of evangelicals in the church than this continual fear of “losing support” for our movement if we speak out bravely for the Lord Jesus Christ. As a matter of fact, our movement will greatly profit by losing some kinds of support. When our army is reduced to Gideon’s three hundred men, then God may be pleased to give us the victory in the fight. 3.Let us support our new evangelical organ with all our might and main. It certainly deserves our support. Dr. S. G. Craig, the Editor, needs no introduction to men of evangelical conviction wherever they may be. His noble voice in The Presbyterian brought comfort and guidance to thousands who were seeking the truth. His very opponents do him credit. Never was there a man who could say more justly to those who opposed him: “Am I therefore become your enemy, because I tell you the truth?” In Christianity Today, he will speak with even greater power; and he will have associated with him, as Managing Editor, the Rev. H. McAllister Griffiths, whose splendid talent for journalism will be put to the very highest use. Such a paper can be relied on never to be dull. And never will it fall into the fault of so many church papers of keeping silent about the really great issues and emitting a smoke-screen instead of light. 4.We ought to support Westminster Theological Seminary, which has been born in prayer and has been supported by the devotion and self-sacrifice of those who love the Gospel of our Lord Jesus Christ. Certainly we who are serving in this work in the faculty are far from perfect; and certainly we are the first to recognize that fact But there can be no doubt but that the work itself is of God. Sweet water cannot be obtained from a bitter fountain; and if the preaching of the Gospel is to go on at all in the Presbyterian Church we must have a truly evangelical and truly Presbyterian source of ministerial supply. 5.We ought to keep the banner flying in the councils of the church. About our immediate duty in detail there may be some doubt But one thing at least is clear—there can be no peace, save a shameful peace, between the Christian religion and that which the Auburn Affirmation, for example, represents. If the latter is really in permanent control of our church, then a new church should be formed to be a true witness to Jesus Christ. Meanwhile the banner of the Gospel cause should be kept flying at the General Assembly and in all the councils of the Presbyterian Church. Dr. S. G. Craig has been mentioned in the daily press as a possible Moderator of the General Assembly of this year. We do not know whence this suggestion originally came. But certainly we commend it with all our heart. He may not like our doing so in the columns of Christianity Today. But we beg him not to mutilate our article at this point. There could be no finer standard-bearer than this one who has done so much and suffered so much for the cause of Christ And to have no standard-bearer at all—to elect by acclamation some candidate of the Modernist-indifferentist party in the church—this we think would be simply to be unfaithful to a great trust. 6.We ought not to despair. The world may look dark to him who loves the Gospel today. But let us reflect that this is not the first gloomy time in the history of the Christian Church; and sometimes the darkest hour has just preceded the dawn. Even now God has by no means left Himself without a witness. We who have been at Westminster Seminary, for example, have learned through contact with our splendid company of students, as never before, how truly blessed a thing is Christian fellowship in the midst of a hostile world. No, there are still many today who love the Lord Jesus Christ as He is presented to us in God’s Word. But the true ground of our confidence is found in the great and precious promises of God. Who can say? Perhaps God has brought us into these troubles in order that we may cease to have confidence in men and may rely more completely upon Him. Endnote 1: The attendance in successive years at Princeton Seminary from 1918-1919 to 1929-1930 inclusive has been 114, 156, 163, 195, 215, 215, 224, 238, 222, 253, 255, 177. In the first few of these years, the effect of the war was felt. The drop of 78 (30 per cent) from 1928-1929 to 1929-1930 was of course due to the reorganization. The student body during the last year of conservative control numbered 255; it numbered 177 during this first year under the new Board. Not improbably it may begin to increase again as a different type of students is attracted to take the place of the devotedly evangelical students who have been repelled by the change in control. [Vol. X, no. 32 (6 May 1836): 126. My Dear Sir.—While a student in Princeton Seminary [1829-1830], I prized most highly the Lectures of Dr. Miller, especially those on Church History and Government. He has been justly styled “an accomplished Lecturer.” It always appeared to me that his aim was to communicate distinctly and pointedly, to his class, all he knew or deemed of most utility, on the subjects which he took in hand, and in this he succeeded. I heard his closing lecture to his several courses that it was my privilege to attend, with regret. The Lecture which he delivered on “Infant members” of the Church, was received by the class with most marked satisfaction. At its close, with several others, I went to his seat, and we requested his Lecture in manuscript, as well as expressed a wish that it might be published. My gratification was great when I received by order from New York his Sermons on Baptism, which treat both of the subjects and the mode. His first sermon answers the question “who are to be considered the proper subjects of Christian Baptism?” In this sermon he proves that Infant Baptism is Scriptural and reasonable, by arguments which must be satisfactory to every candid mind, stated briefly and clearly. The second sermon answers objections to the doctrine of Infant Baptism.—This sermon with its closing practical inferences, should be carefully studied. His remarks on the two points, that, the “baptism of a child is one of the solemn transactions pertaining to our holy religion,” and that “Paedo-baptist Churches have much to reform in regard to their treatment of baptized children, and are bound to address themselves to that reform with all speed and fidelity,” are most searching and true. I would not protract a notice of this work of Dr. Miller. It is unquestionably one which our Clergy would do well to procure and circulate in their respective Congregations. Dr. M. has been as brief as the nature of his subject, and his design permitted him to be, and the book could very well be taken as a Text Book, and enlarged upon in familiar lectures by Pastors; for Dr. M. has given the outlines of the argument, and of the truth, as we believe it to be Scriptures. Rev. Jones wrote in review of Infant baptism scriptural and reasonable : and baptism by sprinkling or affusion, the most suitable and edifying mode, in four discourses, with additional notes (Philadelphia, PA: Joseph Whetham, printed by William S. Martien, ©1834, 1835), 148pp. ; 19cm. [Originally delivered in two sermons at the church in Freehold, Monmouth county, New Jersey, 29 September 1834, then revised and enlarged for publication.] [cf. Life of Samuel Miller, Vol. 2, pp. 255-258.] This work is available on the web, here. Q. 11. — What are God’s works of providence? A. — God’s works of providence are, his most holy, wise, and powerful preserving and governing all his creatures, and all their actions. Scripture References: Ps. 145:17; Ps. 104:24; Heb. 1:3; Ps. 103:19; Matt. 10:29, 30. The meaning of the word providence is that of care, the ability to foresee what is coming and to make provision for it. 2. What are the parts of God’s providence? The parts of God’s providence are: 1. His preservation of things (Ps. 36:6). 2. His government of things (Ps. 67:4). 3. How does creation and providence differ? 4. To what does God’s providence extend? a. All His creatures, especially His children. b. The actions of His creatures. 5. Does His providence extend to all the actions of His creatures? Yes, it extends to all actions. To hold otherwise would be to say that the creatures would be independent in their actions and then God would not be the first cause of all things. 6. If providence includes all actions of men, does this mean the sinful actions as well as the good actions? 7. What is the purpose of God’s providence? The purpose of God’s providence is the manifesting of God’s own glory. Indeed we are “to learn only those things which He has revealed to us in His Word.” We are not to get involved in the non-Christian conceptions of chance. It should be quite significant to the Christian that even Hitler mouthed the word “providence” many times. We recognize though with Berkouwer that “no one can believe in the Providence of God without knowing the way to God through Jesus Christ.” But we are to further recognize that the ways in which we walk will be ways that must be consistent with The Word of God. We must not wait on providence to lead us but recognize that God’s revelation has come to us through His Word. The Providence of God affords us great comfort. It tells us that God directs us. It tells us that He watches over us. It tells us that He restrains us. But all these things are done within the limits of The Word of God and are not the ruling factors in our lives but the great thought behind our actions, actions taken according to His Word – i.e. that God is always in control of His world. Browsing through an old issue of THE ST. LOUIS EVANGELIST, I spotted the following brief article reporting on a letter from Dr. Archibald Alexander, dated 1822. Dr. Alexander was born in 1772 and would have been fifty years old when he wrote this letter. Given his age at that writing, his opening sentence is particularly striking, from a modern perspective. Equally intriguing are the biographical insights provided in this letter and the view expressed by Dr. Alexander on providing for one’s family and later years. When I look for the acquaintances of my youth, alas! they are almost all gone. I have been led, for the most part, along a smooth path. External circumstances have been favorable, but I have been subjected often and long to severe conflicts. Perhaps in prosperity I have endured as much pain as those who have passed through many external afflictions. I have now a large family, and have made scarcely any provision for their subsistence when I shall be taken from them; but I am not troubled on this account. “The Lord will provide.” I have seen in so many cases the little benefit which has resulted from the fruit of anxious toil for posterity, that I feel content with my situation and prospects. Such views from one so revered, so wise and so spiritual as was Dr. Archibald Alexander, we doubt not will be read with interest and profit by all. If we are in moderate circumstances, and our children promise to be upright, useful, respectable in life, we should be more than content; we should be joyful and grateful. People in affluent circumstances have more to fear than others for their descendants. “The lust of the world, the lust of the eye, and the pride of life” accomplish their slaughter chiefly among the rich. This is plain to all who are old enough to have observed the histories of households for forty years; and it is not surprising when we remember that evils in the heart are not so ruinous as when both in the heart and the life.–Herald and Presbyter. The “Preliminary Principles” form the introduction to the PCA’s Book of Church Order. The Principles have their origin with the PCUSA Constitution in 1789 and were also adopted into both the OPC and BPC Books of Church Order. The common opinion is that the Principles were authored by the Rev. John Witherspoon. What follows in our post today is a brief excerpt from the first installment in the series “Studies in Presbyterian Government,” by the Rev. David S. Kennedy, which is just about the only commentary I’ve ever seen that deals with the Preliminary Principles. Serving for many years as editor of The Presbyterian, Rev. Kennedy retired from that post in 1926. Rev. 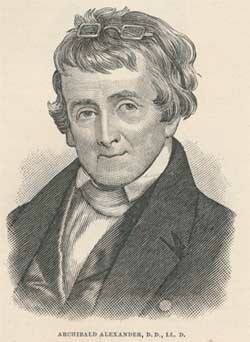 Kennedy’s series, “Studies in Presbyterian Government” appeared in serial form in the months following his retirement. (3) His relation to the civil power. In relation to God, the individual is wholly and vitally responsible to God and his Word. “God alone is Lord of the conscience.” A man then is not absolutely free to believe what he pleases. God has spoken, and every man is under obligation to obey him. Christ puts this with great emphasis when he says: “He that believeth on the Son hath everlasting life, and shall not come into judgment. He that believeth not on the Son shall not see life, but the wrath of God abideth upon him.” The oft-repeated statement that a man is free and has a right to believe as he pleases is a most fearful and false statement when used in relation to God. With God, belief means life and justification, and unbelief means death and condemnation. In relation to men, the individual is perfectly free. No man has the right or power according to this principle to tell another man what he must or should believe aside from the teachings of God’s Word or contrary to God’s Word. So far as man is concerned, each individual is free to follow his conscience and conviction of what is true. Civil authority, in reference to the faith and religion of the individual, has no power save to protect the religious rights of the individual against any attempt to curtail his freedom and to protect the property and other rights of the denomination against the intrusion or misappropriation of the individual. It was on this day, May 25th, in 1823, that Dr. Archibald Alexander wrote to his ailing mother, rejoicing in her recent recovery, yet seeking also to console and comfort her in the last days of her old age. The language of his letter may seem rather formal—we attribute that to the times. That he loved his mother dearly is no less certain. But his counsel here is so apt and useful for all to profit from. Take it to heart! “When I last saw you, it was very doubtful whether you would ever rise again from the bed to which you were confined. Indeed, considering your great age, it was not to be expected that you should entirely recover your usual health. I was much gratified to find that in the near prospect of eternity, your faith did not fail, but that you could look death in the face without dismay, and felt willing, if it were the will of God, to depart from this world of sorrow and disappointment. But it has pleased your Heavenly Father to continue you a little longer in the world. I regret to learn that you have endured much pain from a disease of your eyes, and that you have been less comfortable than formerly. Bodily affliction you must expect to endure as long as you continue in the world. ‘The days of our years are three-score and ten, and if by reason of strength they be four-score years, yet is their strength labour and sorrow; for it is soon cut off, and we fly away.’ But while your Heavenly Father continues you in this troublesome world, He will, I trust, enable you to be resigned and contented and patient under the manifold afflictions which are incident to old age. “The great secret of true comfort lies in a single word, TRUST. Cast your burdens on the Lord, and He will sustain them. If your evidences of being in the favour of God are obscured, if you are doubtful of your acceptance with Him, still go directly to Him by faith; that is, trust in His mercy and in Christ’s merits. Rely simply on His word of promise. But not afraid to exercise confidence. There can be no deception in depending entirely on the Word of God. It is not presumption to trust in Him when He has commanded us to do so. We dishonour Him by our fearfulness and want of confidence. We thus call in question His faithfulness and His goodness. Whether your mind is comfortable or distressed, flee for refuge to the outstretched wings of his protection and mercy. There is all fulness in Him; there is all willingness to bestow what we need. He says, ‘My grace is sufficient for thee. My strength is made perfect in weakness. As thy day is so shall thy strength be. I will never leave thee nor forsake thee. Though I walk through the valley of the shadow of death, I will fear no evil; for thou art with me; thy rod and thy staff they comfort me.’ Be not afraid of the pangs of death. Be not afraid that your Redeemer will then be afar off. Grace to die comfortably is not commonly given until the trial comes. Listen not to the tempter, when he endeavours to shake your faith, and destroy your comfort. Resist him, and he will flee from you. If you feel that you can trust your soul willingly and wholly to the hands of Christ, relying entirely on His merits; if you feel that you hate sin, and earnestly long to be delivered from its defilement; if you are willing to submit to the will of God, however much He may afflict you; then be not discouraged. These are not the marks of an enemy, but of a friend. My sincere prayer is, that your sun may set in serenity; that your latter end may be like that of the righteous; and that your remaining days, by the blessing of God’s providence and grace, may be rendered tolerable and even comfortable. “It is not probable that we shall ever meet again in this world; and yet, as you have already seen one of your children go before you, you may possibly live to witness the departure of more of us. I feel that old age is creeping upon me. Whoever goes first, the rest must soon follow. May we all be ready! And may we all meet around the throne of God, where there is no separation for ever and ever! Amen! Note: Dr. Alexander was born on April 17, 1772, and was 51 years old when he wrote this letter. He was the third of nine children born to his parents. Of those children, his sister Nancy died in childhood and seven of the siblings were still living in 1839. Dr. Alexander’s declining years began about 1840 and he died on October 22, 1851 at the age of 79. His mother died October 11, 1825. Our post today is an excerpt from George P. Hutchinson’s legendary book (an only slightly exaggerated claim), THE HISTORY BEHIND THE REFORMED PRESBYTERIAN CHURCH, EVANGELICAL SYNOD. This excerpt is from his chapter on the Reformed Presbyterian Church, General Synod, one of the two denominations which merged in 1965 to create the RPCES. In the preceding chapter we have seen the rise of Reformed Presbyterianism in Scotland in the seventeenth century together with its exportation to America in the eighteenth. By the first years of the nineteenth century the Reformed Presbyterian Church was firmly planted in American soil. The reconstitution of the Reformed Presbytery in 1798 under the leadership of James McKinney was followed by an outburst of optimistic energy in the Church. “Important additions were soon after made to the ministry, and the Church entered on a career of vigorous labour, crowned by a large measure of progress.” As a result of this energy, the official judicial testimony of the American Reformed Presbyterian Church was published in 1807 under the title Reformation Principles Exhibited. Two years later—on May 24, 1809—”All the ministers of the Reformed Presbyterian Church in America, being convened, with ruling Elders delegated from different sessions, did unanimously agree to constitute a Synod.” The official name was to be the Synod of the Reformed Presbyterian Church in America. Mankind would soon come to recognize the rights of God, and the millennium would be triumphantly ushered in. According to McLeod the Fall of the papal antichrist is fast approaching, and the time is near when the Lord will pour forth his Holy Spirit and the kingdoms of this world will become the kingdoms of our Lord and of His Christ (Rev. 11:15). This optimistic spirit was accompanied by the substantial growth of the Church. In 1798 there were two ministers, a few scattered congregations, and some 1000 communicant members. By 1832 there were 36 ministers, 60 organized congregations, and some 5,000 members. The sources of this growth were Covenant children, Reformed Presbyterians from Ireland and Scotland, and converts from other denomi- nations. These converts were looked upon as those who had become dissatisfied with the use of human compositions in singing God‟s praises, the relaxation of church discipline, the prevalence of Hopkinsian and other doctrinal errors, and “the carnal, worldly spirit of professors, in the churches which they left.‟ At the time of the appearance of the second edition of Reformation Principles Exhibited in 1824, it could be exclaimed: “Congregations are springing up in the desert, and the wilderness is becoming a fruitful field.‟ The organization of the Church kept pace with this growth. The number of presbyteries increased. A representative General Synod, to meet every two years, was established in 1823; and by 1832 the General Synod had constituted the Eastern and Western Subordinate Synods for yearly meetings. The Church was zealous for the education of her ministers, and in 1807 drew up a constitution for a theological seminary. This constitution is interesting, not only because it reveals the Church‟s conception of the nature of the ministry and of theological education, but also because it reveals her conception of what constitutes proper qualifications for the ministry. These are in order of importance: first, piety or practical godliness; second, good sense or talents commensurate with the calling; and third, a good theological education. As fund raisers for the seminary put it: “The Millennium is not to be introduced by ignorant enthusiasm. There must be an able ministry.‟ The Church was also conscious of her responsibility in the areas of discipline, evangelism, and doctrine. The Rev. David Graham was deposed from the ministry and excommunicated from the Church for misconduct in 1812. In 1822 Covenanters in New York City founded the American Evangelical Tract Society to disseminate tracts in support of the principles of the Reformation. The ministers of the Synod were on the whole prolific authors. For a small number of men they produced a good deal of published material, much of which concerns doctrinal subjects. They were particularly concerned to defend traditional Calvinism against its modern substitutes. For instance, William Gibson wrote Calvinism vs. Hopkinsianism (1803), and Gilbert McMaster published a Defence of Some Fundamental Doctrines of Christianity (1815)—including the Trinity, the Person of Christ, and the Holy Spirit, the Depravity of Man, and the limited extent of the Atonement. McMaster inquires: What then? Shall men, in things of religion, be in a state of per- petual hostility? Shall the empire of the Prince of Peace never be united? Must each contend for his dogma? The Church of God is indeed lamentably distracted, and in that distraction all parties have a guilty hand. But can the malady be cured by an unprincipled abandonment of fundamental doctrines, merely to obtain a momentary repose from the pains of contest? Such repose would be that of death, to the interests of vital godliness. As might be expected, one of the chief topics for discussion was the matter of the application of Christian principles to existing governments. It was chiefly differences in this area that led to the lamentable Disruption of 1833. Disruption and Recovery In 1833 the Reformed Presbyterian Church of North America experienced a division which up to the present has been permanent. The majority adhering to the General Synod became known as the New Light General Synod, the minor- ity as simply the Old Light Synod. The Disruption of 1833 has its origins in the early years of the nineteenth century. To understand this momentous dispute in the Church it is necessary to mention some of the developments which led up to it. Hutchinson, George P., The History Behind the Reformed Presbyterian Church, Evangelical Synod. pp. 65-70. May 23: No Time to Debate It. This is a portion of an interesting review of the 1914 General Assembly of the Presbyterian Church, U.S. (aka, Southern), written by Columbia Theological Seminary professor, R.C. Reed [1851-1925]. His report is interesting for dating the noted change in the conduct of the Southern Presbyterian Assembly, from that of a more deliberative body to something more akin to a business model. The Assembly had been in the habit of meeting for nine days, and now had been meeting for only six, since 1912. Here Rev. Reed complains of the hurried nature of the Assembly and the resulting lack of patient, reasoned debate. Elsewhere we have noted that on one occasion, the Rev. 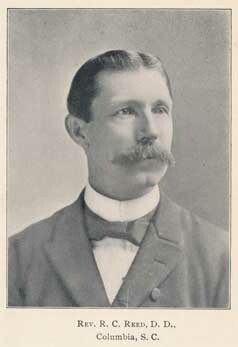 John L. Girardeau spoke at length for two hours on the floor of the Assembly, in 1880. More remarkable still, the Assembly paid attention to his every word! The General Assembly, reviewed by Rev. Professor R.C. Reed, Columbia, SC. The fifty-fourth General Assembly of the Presbyterian Church in the United States, met in the Central Church, Kansas City, Mo., May 21, 1914, and was dissolved at 3:30 P.M., Thursday, May 28th. This is the third Assembly in succession which has limited the span of its life to six working days. These precedents will probably have the force of law for the future. Time was when the Assembly had to rush its business toward the close, in order to dissolution by the end of the ninth day from date of organization. The volume of business has increased rather than diminished. The recent Assemblies have shortened the time not by covering less ground, but by increasing the speed. The liberty of speech has been abridged. it has come to pass that by the time a speaker gets fairly launched, the cry of “question,” “question,” warns the speaker that further effort to get a hearing for his views will be useless. Age and distinguished services do not secure immunity from such discourtesy. The Assembly is ceasing to be a deliberative body, and coming to be an organization merely for business routine. Obviously, our Assemblies are inoculated with the speed-madness of the age. It could hardly be otherwise. The members, who compose the Assembly, are accustomed by the use of the telephone, rapid transit, and other time-saving devices, to dispatch business at a rate that would have made a former generation dizzy. The speed at which we live is constantly increasing, with the result that we are growing more and more restless. The slightest delay is irksome. The train that pulls into the station ten minutes late creates almost a mob-spirit in those who have been constrained to lose so much of their precious time. When men, who live and move and have their being in an atmosphere charged with the frenzy of hurry, come together in a General Assembly, it is not surprising that they should begrudge every minute that does not show a decided progress in the calendar of business. They are not in the habit of having time to spare. Speech-making is not business, rather it is a clog on the machinery, and the less of it the sooner the members can record their votes and get at something else. The moderator is a good moderator in proportion as he rushes the grist through the mill. May not an Assembly prize too highly the merit of expedition? Is the business entrusted to it of such a character that it can be properly dispatched with little or no deliberation? Are the members so familiar with all the questions with which they have to deal that they do not need to give time and thought to them? Many of these questions demand for their safe solution an extensive acquaintance with Scripture interpretation; many of them involve fundamental principles of ecclesiastical law. Have all our members grown so expert in these departments of knowledge as no longer to need the help of leaders? Does this explain why they are so impatient with all attempted leadership, with all efforts to discuss principles and precedents, with all appeals to the teachings of the fathers who have fallen asleep? A more probable explanation is that things which deeply interested the fathers do not much interest the children. The boast of this age is that it is intensely practical. What we demand is results. We care little for doctrines, theories, principles, precedents–we are for doing things. When we see what we want, why should we be turned aside, or delayed in the attainment of our object by a discussion of some outgrown theories, or some technicalities of law, or some old moss-covered doctrines touching the true nature and functions of the church? Let the past suffice for debate over these things. We have consumed time enough in talk–this is the day for action. Such would appear to be the spirit in which our Assemblies meet and transact their business. A spirit not to be condemned unqualifiedly. Doubtless we have had too much discussion by doctrinairies, and by those who think the church’s mission is accomplished when it has “contended earnestly for the faith.” There are those who prefer to do nothing rather than take the risk of doing wrong. John McNeil says: “Caution and Presbyterians go together, but where do they go?” It is not surprising if some grow impatient of this proverbial caution, nor are they to blame for insisting that we quicken our pace and go somewhere. But we may swing to the other extreme, and for the sake of expedition, sacrifice principles that deserve perpetuation. We are warned against “daubing with untempered mortar.” The sad results of haste are seen in the contradictory deliverances of some of our Assemblies. The Lord’s work is entitled to all the time and thought that we can give it in order to do it in the best possible way. Image source: Photograph of the Rev. R.C. Reed, as found in Calvin Memorial Addresses. Richmond, VA: Presbyterian Committee of Publication, 1909. Photo facing page 14. 10. All Your works shall give thanks to You, O Lord, and Your godly ones shall bless You. 11. They shall speak of the glory of Your kingdom and talk of Your power. 12. To make known to the sons of men Your mighty acts and the glory of the majesty of Your kingdom. In 2012 it was announced by the Jonathan Edwards Center at Yale University, in partnership with William Eerdmans Publishing Company, that they would be producing A JONATHAN EDWARDS ENCYCLOPEDIA. The volume would be published both in print and online, and comprised of some 450 entries. That news has recently been updated, with an announced date of November 30, 2017 for availability of the print edition. In light of that project, here transcribed below is an important document from the latter years of the First Great Awakening. THE TESTIMONY AND ADVICE is not otherwise easily found on the Internet at this time, other than in short quotations, and so it seemed good to reproduce it here. In that era of the First Great Awakening, Presbyterian and Congregationalist pastors worked readily with one another in the proclamation of the Gospel, both groups being strongly Calvinistic in their theology. As you read through this document, you will see mentioned several of the concerns which figured prominently in the Old Side/New Side split of the Presbyterian Church, 1741-1758. The issues prompting that split included itinerant preaching and ministerial authority, and both of these concerns are discussed in THE TESTIMONY AND ADVICE. After the remarkable work of God in New England in the beginning of the last century, it was suggested by a writer in the Boston Gazette of May 31st, 1743, that a Convention of Ministers should be held to “consider whether they are not called upon to give an open, conjunct testimony, to an event so surprising and gracious, as well as against those errors in doctrine and disorders in practice, which through the permitted agency of Satan have attended it, and in some measure blemished its glory and hindered its advancement.” Accordingly, on the 7th July of the same year, about ninety Ministers met at Boston for the above purposes. After a sermon, they proceeded to confer together, and to hear the letters of such as desired but were not able to attend the meeting. As the result of their deliberations they drew up and published the following document, which was signed by sixty-eight Ministers—the number of those who remained, the others having left. Of an Assembly of Pastors of Churches in New England, at a meeting in Boston, July 7th, 1743, occasioned by the late happy Revival of Religion in many parts of the land. If it is the duty of every one capable of observation and reflection, to take a constant religious notice of what occurs in the daily course of common providence; how much more is it expected that those events in the divine, wherein there is a signal display of the power, grace, and mercy of God in behalf of the Church, should be observed with sacred wonder, pleasure, and gratitude?—Nor should the people of God content themselves with a silent notice, but publish with the voice of thanks, and tell of all his wondrous works. More particularly, when Christ is pleased to come into his Church in a plentiful effusion of his Holy Spirit, by whose powerful influences the ministration of the word is attended with uncommon success, salvation-work carried in an eminent manner, and his kingdom which is within men, and consists in righteousness and peace and joy in the Holy Ghost, is notably advanced. This is an event which above all others invites the notice and bespeaks the praises of the Lord’s people, and should be declared abroad for a memorial of the divine grace; as it tends to confirm the divinity of a despised Gospel, and manifests the work of the Holy Spirit in the application of redemption, which too many are ready to reproach; as it may have a happy effect, by the divine blessing, for the revival of religion in other places, and the enlargement of the kingdom of Christ in the world; and as it tends to enliven the prayers, strengthen the faith, and raise the hopes of such as are waiting for the kingdom of God, and the coming on of the glory of the latter days.—But if it is justly expected of all who profess themselves the disciples of Christ, that they should openly acknowledge and rejoice in a work of this nature, wherein the honor of their Divine Master is so much concerned; how much more is it to be looked for from those who are employed in the ministry of the Lord Jesus, and so stand in a special relation to him, as servants of his household and officers in his kingdom? These stand as watchmen upon the walls of Jerusalem; and it is their business not only to give the alarm of war when the enemy is approaching, but to sound the trumpet of praise when the king of Zion cometh, in a meek triumph, having salvation. For these and other reasons, we whose names are hereunto annexed, pastors of Churches in New England, met together in Boston, July 7th, 1743, think it our indispensable duty, (without judging or censuring such of our brethren as cannot at present see things in the same light with us) in this open and conjunct manner to declare, to the glory of sovereign grace, our full persuasion, either from what we have seen ourselves, or received upon credible testimony, that there has been a happy and remarkable revival of religion in many parts of this land, through an uncommon divine influence; after a long time of great decay and deadness, and a sensible and very awful withdrawal of the Holy Spirit from his sanctuary among us. Though the work of grace wrought on the hearts of men by the word and Spirit of God, and which has been more or less carried on in the Church from the beginning, is always the same for substance, and agrees, at one time and another, in one place or person and another, as to the main strokes and lineaments of it, yet the present work appears to be remarkable and extraordinary, on account of the numbers wrought upon. We never before saw so many brought under soul-concern, and with distress making the inquiry, “What must we do to be saved?” and these persons of all characters and ages. With regard to the suddenness and quick progress of it, many persons and places were surprised with the gracious visit together, or near about the same time; and the heavenly influence diffused itself far and wide like the light of the morning. Also in respect of the degree of operation, both in a way of terror and in a way of consolation; attended in many with unusually bodily effects. Not that all who are accounted the subjects of the present work, have had these extraordinary degrees of previous distress and subsequent joy.—But many, and we suppose the greater number have been wrought on in a more gentle and silent way, and without any other appearances than are common and usual at other times, when persons have been awakened to a solemn concern about salvation, and have been thought to have passed out of a state of nature into a state of grace. As to those whose inward concern has occasioned extraordinary outward distress, the most of them, when we came to converse with them, were able to give, what appeared to us a rational account of what so affected their minds, viz. a quick sense of their guilt, misery, and danger; and they would often mention the passages in the sermons they heard, or particular texts of Scripture, which were sent home upon them with such a powerful impression. And as to such whose joys have carried them in transports and ecstacies, [sic] they in like manner have accounted for them, from a lively sense of the danger they hoped they were freed from, and the happiness they were now possessed of; such clear views of divine and heavenly things, and particularly of the excellencies and loveliness of Jesus Christ, and such sweet tastes of redeeming love, as they never had before. The instances were very few in which we had reason to think these affections were produced by visionary or sensible representations, or by any other images than such as the Scripture itself presents unto us. And here we think it not amiss to declare that in dealing with these persons, we have been careful to inform them, that the nature of conversion does not consist in these passionate feelings; and to warn them not to look upon their state as safe, because they have passed out of deep distress into high joys, unless they experience a renovation of nature, followed with a change of life, and a course of vital holiness. Nor have we gone into such an opinion of the bodily effects with which this work has been attended in some of its subjects, as to judge them any signs that persons who have been so affected, were then under a saving work of the Spirit of God. No; we never so much as called these bodily seizures, convictions; or spake of them as the immediate work of the Holy Spirit. Yet we do not think them inconsistent with a work of God upon the soul at that very time; but judge that those inward impressions which come from the Spirit of God, those terrors and consolations of which he is the author, may, according to the natural frame and constitution which some persons are of, occasion such bodily effects. And therefore that those extraordinary outward symptoms are not an argument that the work is delusive, or from the influence and agency of the evil spirit. With respect to numbers of those who have been under the impressions of the present day, we must declare there is good ground to conclude they are become real Christians; the account they give of their consolation and conviction agreeing with the standard of the Holy Scriptures, corresponding with the experiences of the saints, and evidenced by the external fruits of holiness in their lives; so that they appear to those who have the nearest access to them, as so many epistles of Christ, written, not with ink, but by the spirit of the living God, attesting to the genuineness of the present operation, and representing the excellency of it. Indeed, many who appeared to be under convictions, and were much altered in their external behavior, when this work began, and while it was most flourishing, have lost their impressions, and are relapsing into their former manner of life; yet of those who were judged hopefully converted, and made a public profession of religion, there have been fewer instances of scandal and apostacy [sic] than might be expected. So that, as far as we are able to form a judgment, the face of religion is lately changed much for the better in many of our towns and congregations; and together with a reformation observable in divers instances, appears to be more experimental godliness, and lively Christianity, than the most of us can remember we have ever seen before. Thus we have freely declared our thoughts as to the work of God so remarkably revived in many parts of this land. And now, we desire to bow the knee in thanksgiving to the God and Father of our Lord Jesus Christ, that our eyes have seen and our ears heard such things. And whilst these are our sentiments, we must necessarily be grieved at any accounts sent abroad, representing this work as all enthusiasm, delusion, and disorder.—Indeed it is not to be denied, that in some places many irregularities and extravagances have been permitted to accompany it, which we would deeply lament and bewail before God, and look upon ourselves obliged, for the honor of the Holy Spirit, and of his blessed operations on the souls of men, to bear a public and faithful testimony against; though at the same time it is to be acknowledged with much thankfulness, that in other places, where the work has greatly flourished, there have been few if any of these disorders and excesses. But who can wonder, if at such a time as this, Satan should intermingle himself, to hinder and blemish a work so directly contrary to the interests of his own kingdom? Or if, while so much good seed is sowing, the enemy should be busy to sow tares? We would, therefore, in the bowels of Jesus, beseech men as have been partakers of this work, or are zealous to promote it, that they be not ignorant of Satan’s devices; that they watch and pray against errors and misconduct of every kind, lest they blemish and hinder that which they desire to honor and advance. Particularly, that they do not make secret impulses on their minds, without a due regard to the written word, the rule of their duty; a very dangerous mistake which we apprehend some in these times have gone into. That laymen do not invade the ministerial office, and under a pretence [sic] of exhorting, set up preaching; which is very contrary to Gospel order, and tends to introduce errors and confusion into the Church. That Ministers do not invade the province of others, and in ordinary cases preach in another’s parish, without his knowledge, and against his consent; nor encourage raw and indiscreet young candidates, in rushing into particular places, and preaching publicly or privately, as some have done to the no small disrepute and damage of the work in places where it once promised to flourish. Though at the same time we would have Ministers show their regard to the spiritual welfare of their people, by suffering them to partake of the gifts and graces of able, sound, and zealous preachers of the word, as God in his providence may give opportunity therefore; being persuaded that God has in this day remarkably blest [sic] the labors of his servants who have travelled [sic] in preaching the Gospel of Christ. That people beware of entertaining prejudices against their own pastors, and do not run into unscriptural separations. That they do not indulge a disputatious spirit, which has been attended with mischievous effects; nor discover a spirit of censoriousness, uncharitableness, and rash judging the state of others; than which scarce any thing has more blemished the work of God amongst us. And while we would meekly exhort both Ministers and Christians, so far as is consistent with truth and holiness, to follow the things that make for peace; we would most earnestly warn all sorts of persons not to despise these outpourings of the Spirit, lest a holy God be provoked to withhold them, and instead thereof to pour out upon this people the vials of his wrath, in temporal judgments and spiritual plagues; and would call upon every one to improve the remarkable season of grace, and put in for a share of the heavenly blessings so liberally dispensed.